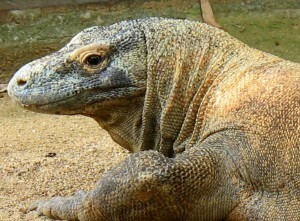 On June 9, 2001, a seven-foot long Komodo Dragon viciously attacked newspaper editor Phil Bronstein, who had climbed into the cage with the creature during a behind-the-scenes zoo tour – a special “surprise early Father’s Day present” arranged by his then-wife, the actress Sharon Stone. Let’s be blunt: You knew bupkus about the maneuvering and politics unfolding behind-the-scenes at the tax commission until we started covering it. To attack us for digging out the story is to mistake the map for the territory, using the same kind of tiresome, rigid, WATB ideological projections as you decry in the Yacht Party.